The following rose care calendar is from the book Growing Roses Organically by Barbara Wilde. These suggestions are for zones 7 and 8. Autumn is a great time for roses. We are still enjoying an abundance of blooms from those hybrid teas and floribundas and hopefully the summer sun has slowed down the spread of black spot. The plants need to start preparing for dormancy to survive the winter, so cut down on cutting as tender new growth is the first to be damaged in those early autumn frosts. 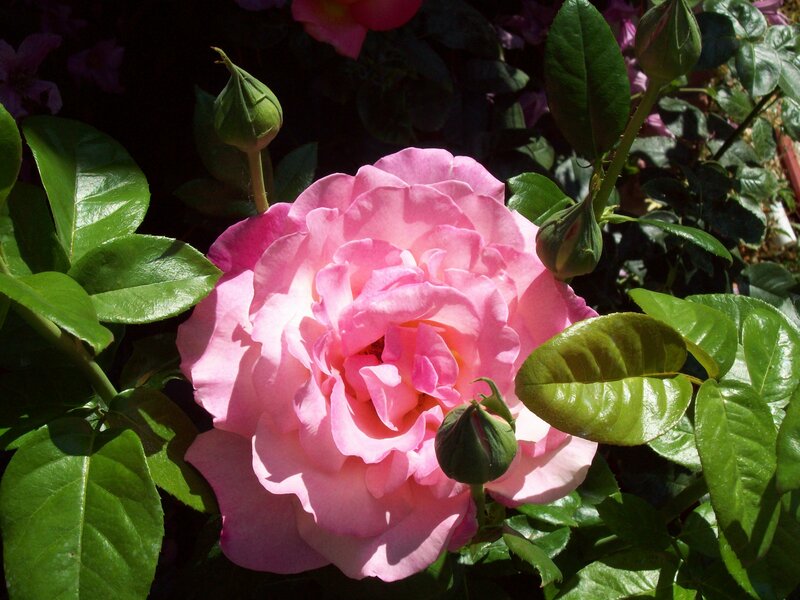 September: Give roses a kelp foliar feeding midmonth, monitor water needs, order new roses. November: Prepare new beds, plant new bareroot roses, trim any long canes that may whip in wind, make sure all climbers are securely tied to supports, rake up and dispose of all rose debris, check to make sure all graft unions are well covered, renew mulch.